The Pentagon’s claims that Russia and China are among the top challenges for the US is a justification to continue the flow of taxpayer’s money into major weapon systems and their corporate sponsors, Karen Kwiatkowski, retired US Air Force Lieutenant Colonel told RT. 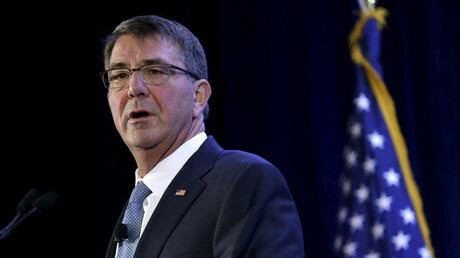 US Secretary of Defense Ashton Carter announced Tuesday that the Pentagon will request a $582.7 billion defense budget in order to maintain security. According to Carter, there are five main challenges for the US to focus on Russia, Iran, China, North Korea and ISIS. RT: Why does the US defense secretary apparently regard Russia and China as bigger threats than ISIS? Karen Kwiatkowski: It is hard to say, but I do believe that in terms of justifying the major contractors that sell weapon systems to the Pentagon and around the world, China and Russia - both in the sense they’ve got big militaries, big air forces, big navies, good size armies – that allows them [the US] to justify these major weapon systems that we in the US really don’t have much use for and we don’t use very effectively against ISIL or any of these others. But this is a justification for us to continue the flow, the pipeline of taxpayer money into these major weapon systems and their corporate sponsors, which of course are heavily influential. RT: One would have thought that ISIS would be the common enemy. How justified is this planned four-fold increase in Europe-directed security spending? KK: I don’t believe it is justified in terms of any type of intelligence, it is certainly not justified in any current threat levels or threat pastures. We simply don’t see a threat from Russia anywhere in the world today. 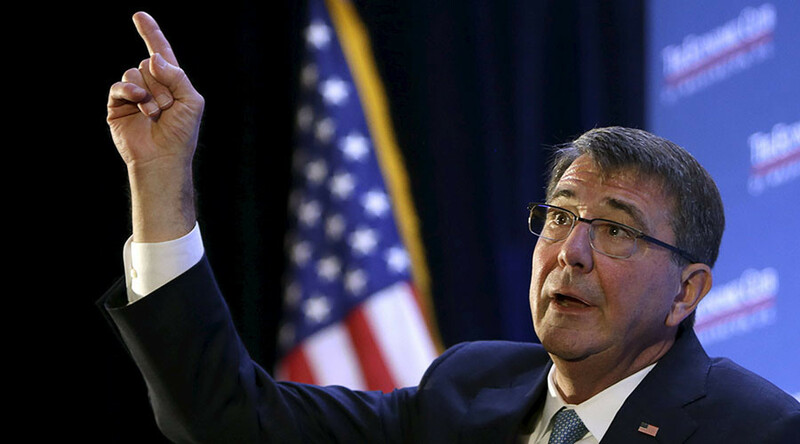 When Ashton Carter used the word Russian “aggression” he stumbled over that. I truly believe that they haven’t really defined it – that they are throwing it out there as the way to justify some spending that they haven’t been able to do effectively when they are only fighting non-nation states and small actors like ISIS. RT: NATO Secretary General has welcomed the announcement saying it shows the US commitment to European security. Is that what it really shows? KK: It doesn’t show that to me. I will tell you that in the US - in both political parties - we emphasize that Europe needs to step up and pay for their own defense. We’ve seen this kind of ebb and flow over the last 15 years. But certainly having Europe and other countries around the world pay for their own defense – this is very popular in the US. Both major parties have put this out there as something they support and the American people respond well to that. We don’t want to be in a position of global policeman and we don’t want to be in a position of paying for other people’s defensive needs. I do think Carter is justifying something that he and the industrial complex want. And certainly the NATO guys don’t speak for their own people either. NATO and the US in Washington – they might be allied. I don’t think the people in Europe and certainly in America are aligned with this importance to spend billions and billions of dollars. They are simply out of touch with reality in many ways. RT: What message is the US sending to Moscow and Beijing by increasing its military budget for Europe and listing these countries among its top threats? Does it want to start a new arms race? KK: One of the big exports that [the US] have, as we well know is weapons of all kinds and particularly the kinds of weapons that great states like to deploy – great armies, navies and air forces. If…the US, Washington DC – the leadership of this country, Carter, for example – could facilitate a way to step up a major state arms race, the US is well positioned to fare well with that. Assuming we can continue to print money, assuming we can continue to borrow money to pay for it, it seems to me that the only act of aggression being displayed here is the one coming out of the Pentagon.